Just because you hold a Wholesale Inspection Event does not mean wholesale car buyers will show up. 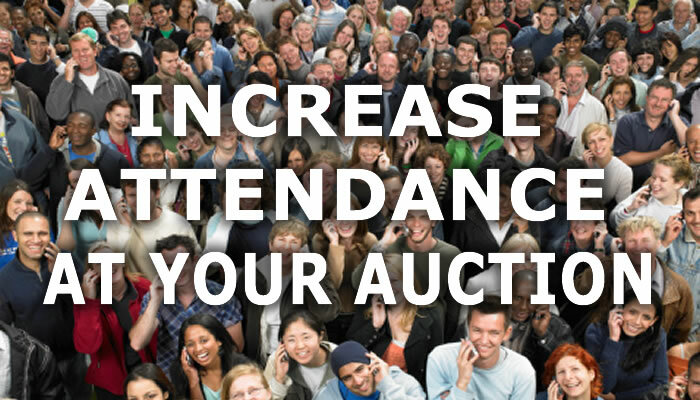 Getting the right buyers to come to your auction or bid sale, both in person and online can appear to be challenging. But it doesn’t have to be. Simple, tried and proven marketing strategies can make all the difference. There is nothing more valuable than a personal invitation and if it comes from the owner or the auction manager, the call is priceless. Once you collect the buyer’s email address it is easy to send periodic announcements. The important thing here is to make sure they are relevant and infrequent. No one want’s to be spammed. When you’re driving around, take the time to pop into independent dealers and even the used car manager at franchise dealers. Just to chat and let them know what you are up to. Simple giveaways are a great way to get buyers to show up at your sale. 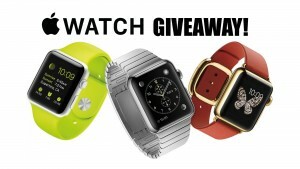 We love the Apple Watch as a give away item, because it still has the WOW factor. One added benefit is that give-aways don’t compromise the integrity of your event because it is not a bribe, it is a random drawing. Everyone loves to eat and there is nothing more social than breaking bread together. A simple cook out with a lot attendant serving hotdogs and hamburgers can really draw a crowd especially if it is promoted and is a weekly event. Make up special auction business cards and hand them out at other auctions or on pop in visits to Indy dealers. 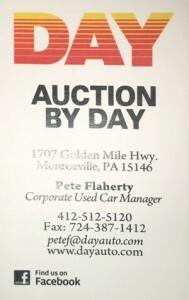 Sometimes when I visit Indy Dealers the owner or buyer is not there, in cases like that I like to leave an invitation flyer with all the details of the auction. I cannot stress this one enough. Buyers, especially the guys and gals who buy hundreds of cars per year, want to be able to dealer with the manager or owner. They like the social interaction, they like the glad handing and above all they like to express their opinion. None of this can happen if the dealer or manager is missing on the day of inspection. There you have it, simple but effective ways to grow or revitalize your bid sale or lane sale auction.